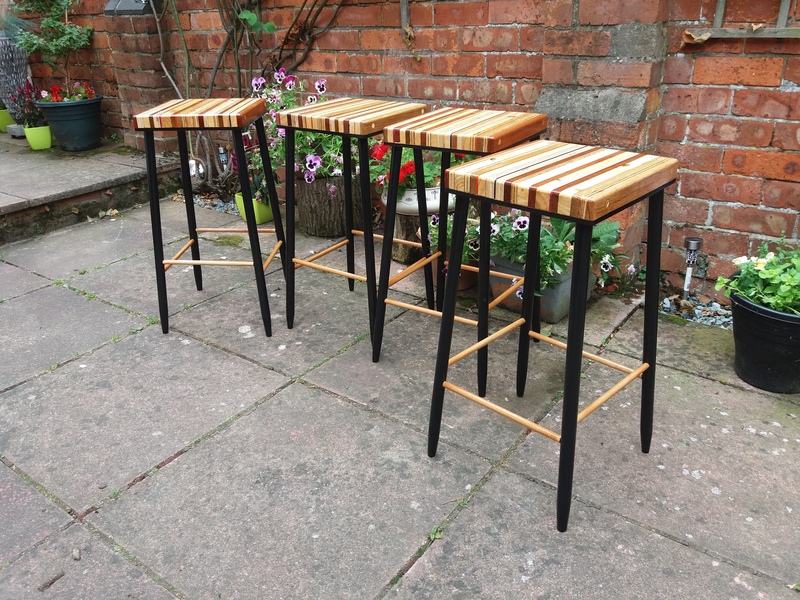 Bar stools, in wood and perspex. 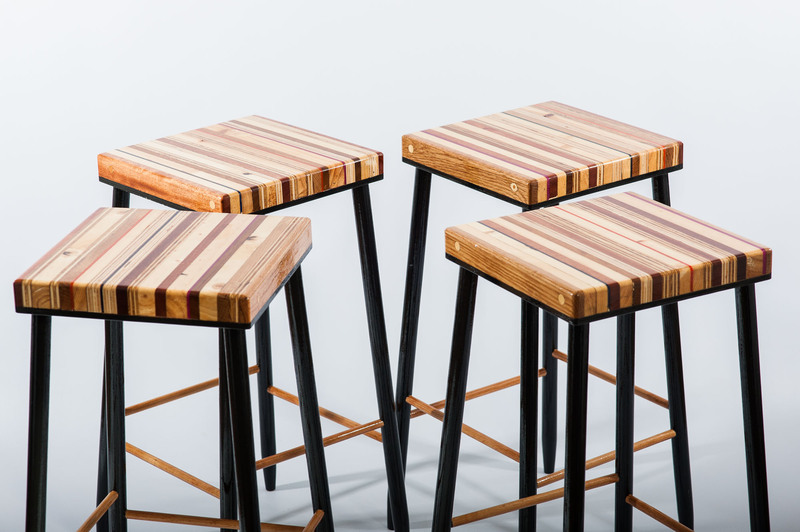 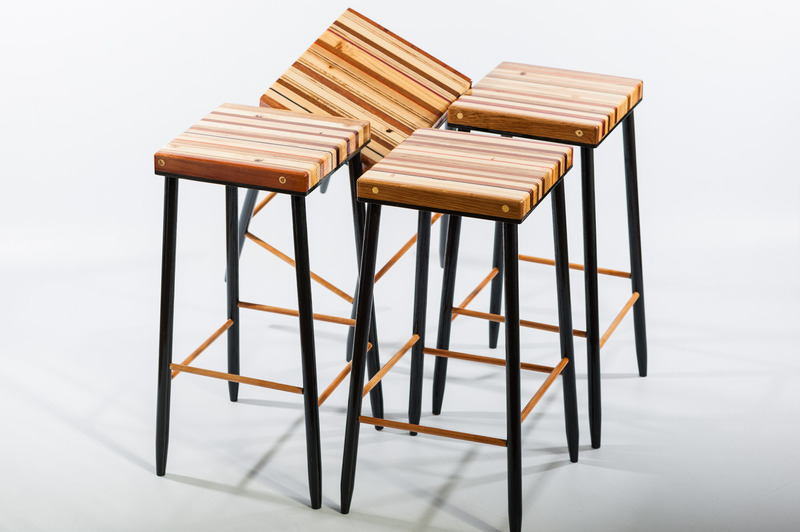 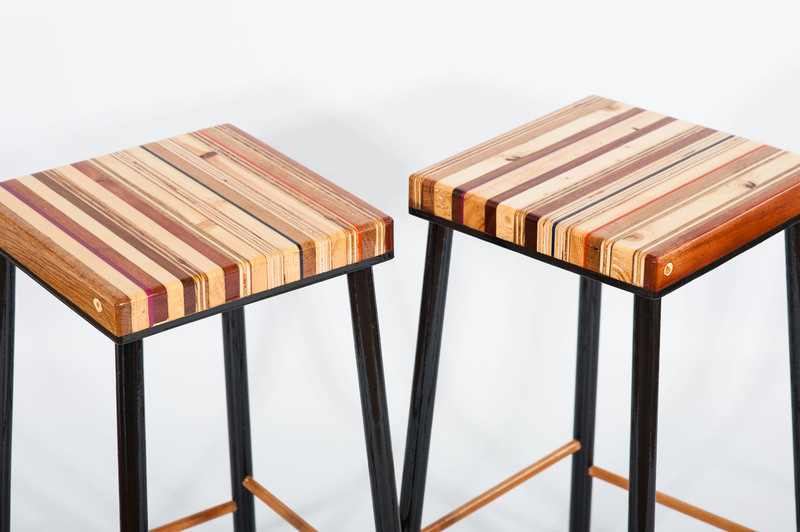 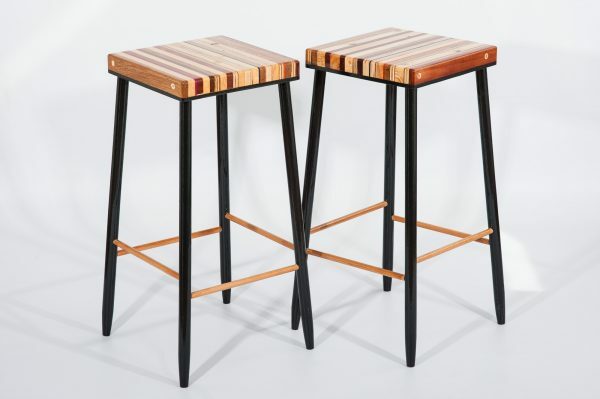 These 4 bar stools have evolved from an earlier example of a footstool in a similar style. 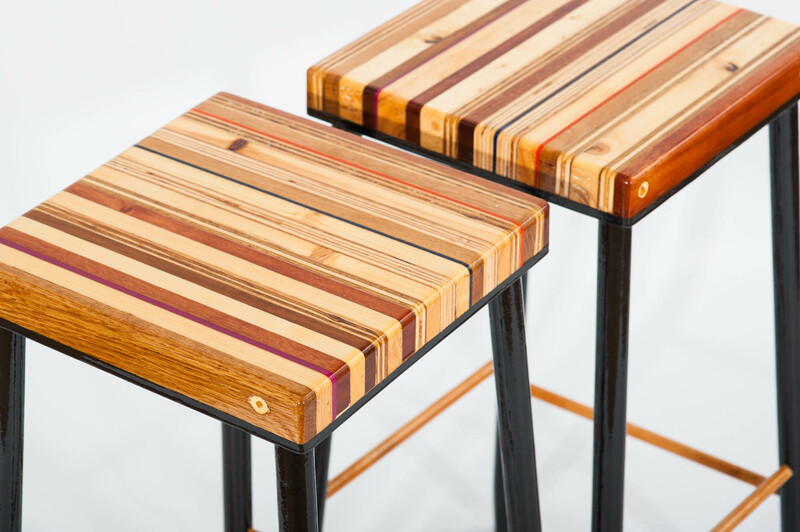 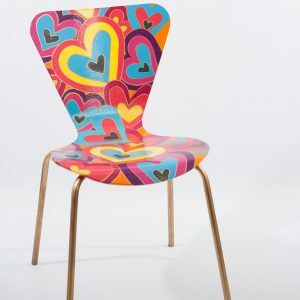 The seat is a lamination of woods, selected for their colour and features. 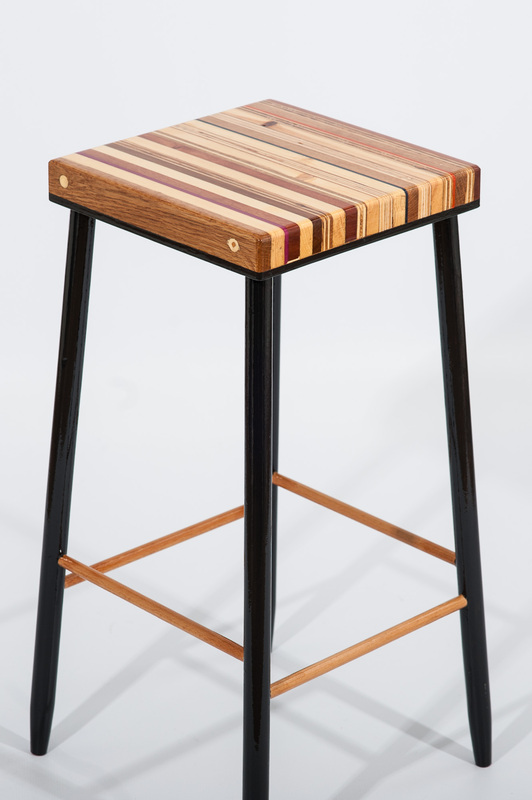 Predominantly hardwoods (oak, sapele, mahogany), also strips of reclaimed softwood and ply to add balance. The legs and rails are birch. Legs have been painted black on these examples with the rails left natural and all gloss lacquered. 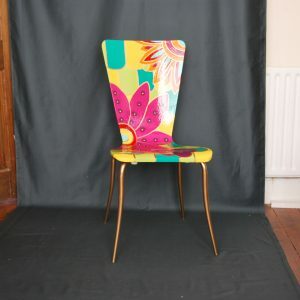 Coloured perspex has been used to specifically stand out from the dark and pale wood colours, fairly quietly in this case! 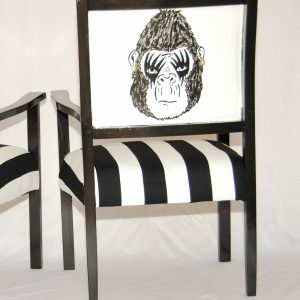 A black and white colour scheme is currently being undertaken in the wood seat. This design mix of wood and perspex colour is infinitely variable. 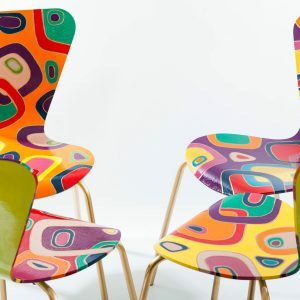 Customers desiring a stool to match (or clash) with an existing or planned breakfast bar for example, are invited to contact us and discuss their ideal colour mix.